A family's loyalty is put to the ultimate test irsten Hammarstrom hasn't been home to her tiny corner of rural Wisconsin in years--not since the mysterious disappearance of a local teenage girl rocked the town and shattered her family. Kirsten was just nine years old when Stacy Lemke went missing, and the last person to see her alive was her boyfriend, Johnny--the high school wrestling star and Kirsten's older brother. No one knows what to believe--not even those closest to Johnny--but the event unhinges the quiet farming community and pins Kirsten's family beneath the crushing weight of suspicion. Now, years later, a new tragedy forces Kirsten and her siblings to return home, where they must confront the devastating event that shifted the trajectory of their lives. 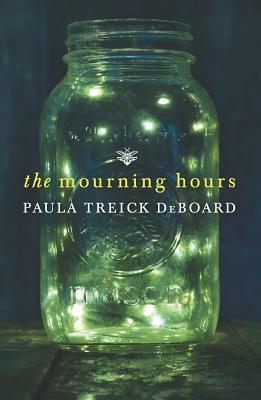 Tautly written and beautifully evocative, The Mourning Hours is a gripping portrayal of a family straining against extraordinary pressure, and a powerful tale of loyalty, betrayal and forgiveness. Paula Treick DeBoard lives with her husband Will and their four-legged brood in Modesto, CA. She received a BA in English from Dordt College, an MFA in Creative Writing from the University of Southern Maine and a practical education from countless students in her English classes over the years. The Mourning Hours is her first novel.